Giftwithluv made its debut in the year 2005, started with an intention to bring smiles on your loved ones face. Customers can expect fresh and quality flowers all year round; delivering outstanding services to the doorstep of your loved ones is our core job, flower arrangement presented by us in bunch, basket and bouquet is a treat for the eyes. Send flowers to Bangalore, Mumbai, Pune, Hyderabad, and Chennai, India with our quick delivery service. Send gifts to India on your special someone’s birthday, wedding, Valentine’s day, anniversary, and other ceremonies like house warming, engagement, newborn baby, New Year’s Eve. Send sweets online on important festivals like Diwali, Ganesh chaturthi, Rakshabandhan and other personalized gifting services such as Sorry, Thank You, Love You, and Miss You etc. We are one of the trusted florists in India who wish to rule the hearts of all. Send gifts to Hyderabad, Pune, Chennai, Mumbai, or anywhere in India through Giftwithluv. Having 8 years of experience in gifting and floral business, Giftwithluv has outshined other gifting sites. We are an integral part of every celebration that takes place in everyone’s life. We make every product planned for that big day accessible for our customers at affordable prices. Our gift gallery is filled with exclusive gifts for all the occasions and impressive flower arrangements that will melt your loved ones heart in seconds. Customers can reach their family and friends on birthdays, wedding, anniversary, engagement ceremony and other special events by sending gifts via florist in India. We are proud to announce that we are one of the prominent names in online gift delivery services in Mumbai, Bangalore, Chennai, Pune, and Hyderabad. Reach your dear ones on Valentine’s Day with exotic bunch of red roses to these above cities with our speedy door delivery gift, delicious sweets, chocolates, cakes and flower service. Nationwide network of local vendors make our job of delivering gifts easy and convenient, our e-commerce portal is one of the most sought after gifting site in India, send gifts to Bangalore with Giftwithluv and be the reason for bringing smile on someone’s face. We make Mothers Day extra special with our exotic arrangement of fresh roses, cakes, and flowers made in bunch, basket or bouquet. People in love will find florist in Hyderabad the best resort with wide array of flowers and gifts to present to the love of your life on Anniversary. 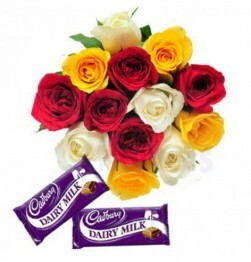 Flowers say more than words take our platform to express your genuine emotions to the one you care and adore on this big day of the year, along with flowers buy chocolates online and add a special touch to the celebration. Online shoppers will find exquisite collection of gifts in just one single click buy watches online in India or send special gift hampers through our midnight gift delivery. We are one of the most adored online local florist in India fulfilling all your floral needs. If you wish to send fresh flowers to someone you love, do think of us. Come any occasion for example birthday, wedding, new born, house warming, valentine’s day we are alert and ready to deliver your gifts right to the doorsteps of the celebrant. 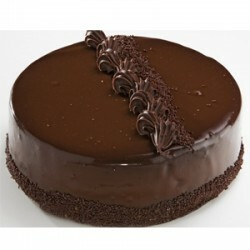 Want to bring happiness on your loved ones special day like birth day send mouth-watering cakes with our e-gifting portal. We offer easy and simple solutions for online payment allowing our customers to enjoy a convenient online shopping. For further assistance feel free to call us at 92432-84333 or 84978-08999 7.00am-10.00pm.